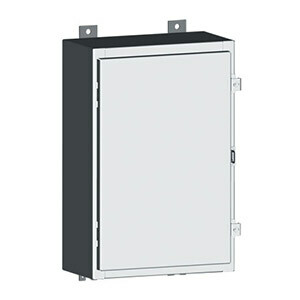 The SCE-LP series of electrical enclosures and cabinets are designed to house electrical and electronic controls, instruments, and components. Provides protection from dust, dirt, oil and water. Galvanized steel sub-panels are available for the SCE-LP series enclosures. To order, add "GALV" to the end of the model number in the table at the bottom of this page. Swing Out Panel Kits for enclosure sub-panels 30" or less. Swing Out Panel Kits for enclosure sub-panels larger than 30".